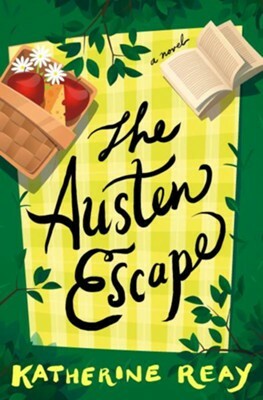 I enjoyed a previous book by Katherine Reay, and that is why I chose to read and review The Austen Escape. This book tells the story of a woman who is struggling to find her place in the world. When she travels to England with a friend to be a part of Austen's world, she discovers things that she never knew. This book is good for any fans of Jane Austen, and it is also enjoyable for anyone who is looking to read about one woman's journey to find herself. The main character of this book is interesting and I feel like I really got to know her. The story is different from other books that I have read. There is not really a Christian message in this book, for those looking for that. I was just looking for something more in the story, overall. Overall, I found this to be an enjoyable read. I give The Austen Escape 4 out of 5 stars.